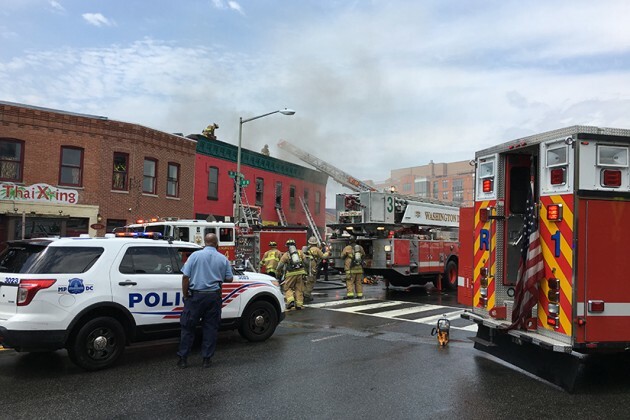 A bar near U Street caught fire earlier this afternoon. 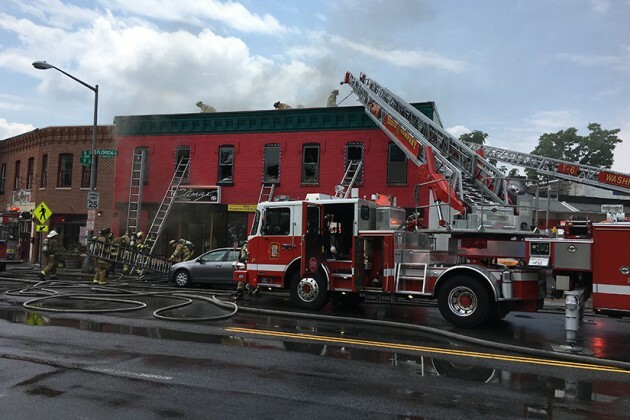 More than half a dozen fire trucks were spotted fighting a fire at Climax (900 Florida Ave. NW) around 1:10 p.m. today. 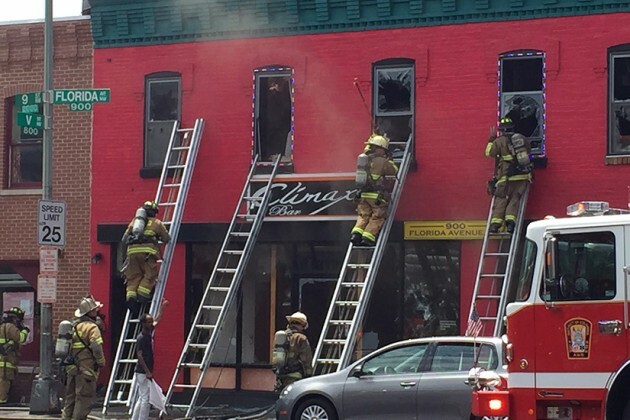 Smoke could be seen pouring from several of the bar’s windows. 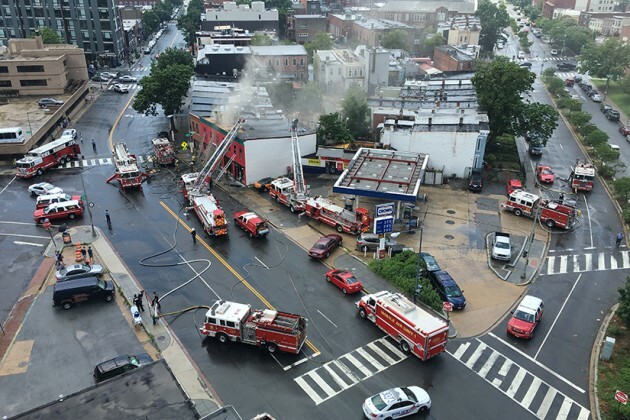 No injures were reported in the fire, according to D.C. Fire and EMS. 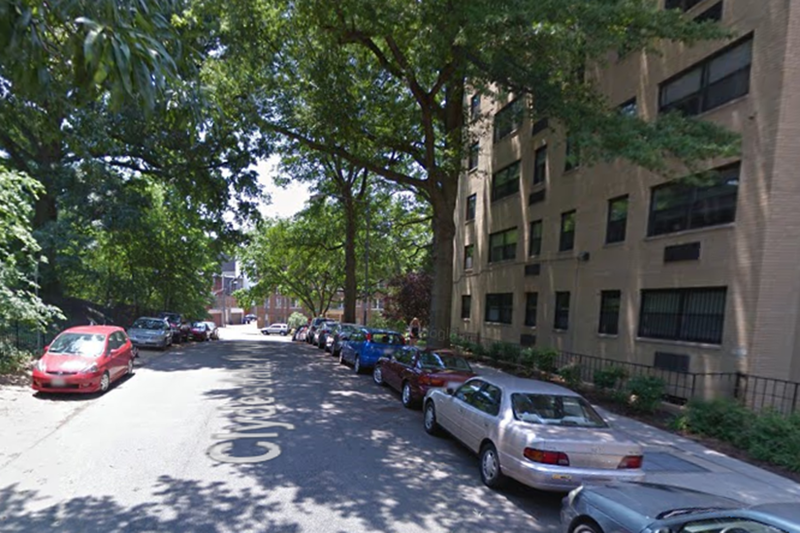 (Updated at 4:05 p.m.) Someone shot and killed a man in Columbia Heights early this morning, according to D.C. Police. 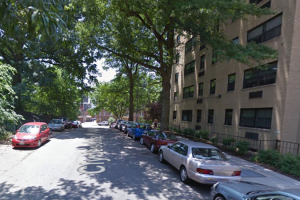 The shooting happened on the 3500 block of 14th St. NW just before 3:30 a.m., police said. The victim of the shooting, identified as 29-year-old Edward Roberts Jr., was taken to a local hospital, where he was pronounced dead, police said in a press release. Authorities have offered a reward of up to $25,000 for information that leads to the arrest and conviction of the shooter. It was incredibly hot this week. And now, it’s going to rain, according to the National Weather Service. Storms and showers are likely on Saturday and Sunday, the NWS predicts, with highs in the upper 80s. If you have plans to go to the pool, it might be wise to make find alternate activities ahead of time. Vieux Carre, a New Orleans-style cocktail bar at 1413 K St. NW, is due to open for business tonight. Doner Bistro (1654 Columbia Rd. NW) will hold its last hurrah party this Sunday before it closes on Aug. 1. The Angelika Pop-Up movie house at 550 Penn St. NE is scheduled to hold a free “SciFi convention” Sunday from 1-8 p.m. Outdoor enthusiasts are set to swap and sell “thingamajigs” at a lot in NoMa on Saturday. Kramerbooks (1517 Connecticut Ave. NW) will host a release party for “Harry Potter and the Cursed Child” Saturday night. Wanna catch some pocket monsters? Head to the National Mall Saturday. 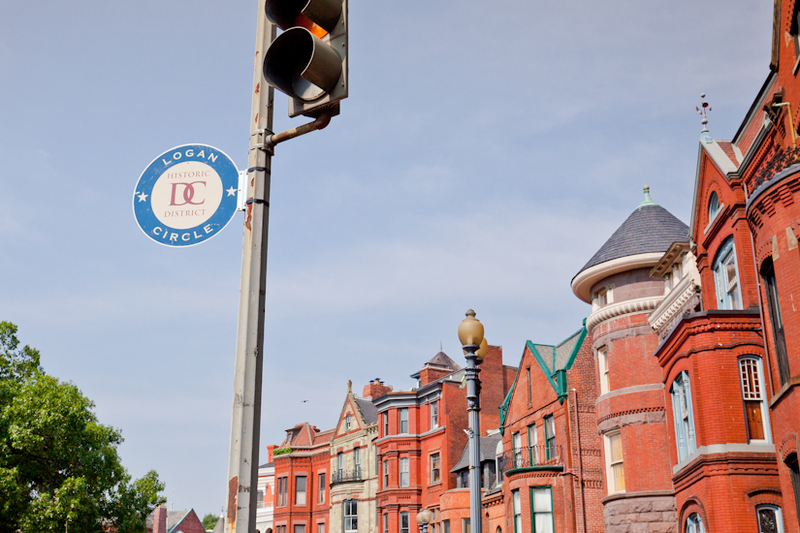 B-holes for sale in Dupont Circle and Petworth! Can marijuana make the world a better place? Araminta Scott and Ariel Oxner say it can. The duo have created Space Cakes DC, a weed-laced pastry business they say is a nonprofit organization. 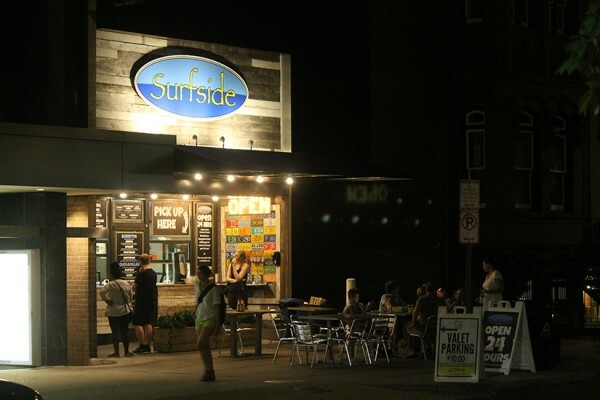 Through home deliveries and pop-up stands, Scott and Oxner have brought cannabis-infused brownies, cupcakes and cookies to the masses in the District. The main ingredient in their edibles is a butter-weed mixture called, “cannabutter,” Oxner said. A friend, who taught himself how to grow marijuana, gives them the pot for free to make the special sauce, Scott added. “We want to show people that there’s other ways to get high than just smoking,” Oxner said. Borderstan’s building permit roundup is back again. Check out what your neighbors are constructing around our new, expanded coverage area. 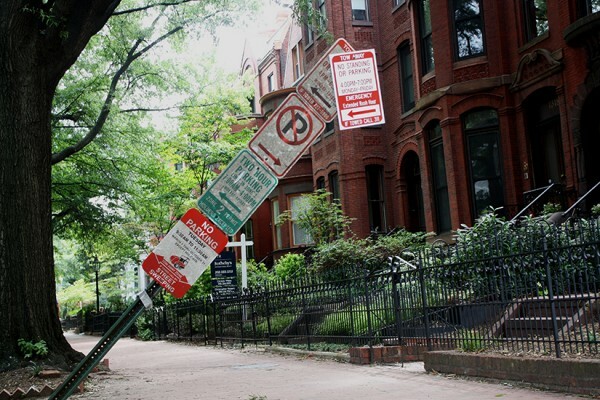 The permits the D.C. government issued from Friday, July 15, to Thursday, July 21, are below. Permits from our previous roundups are here. Q&A with a Local Comedian is a frequent column that profiles funny people across the city. Want to be featured? Know someone who ought to be on here? Drop us a line. I first met Alyssa Cowan before a show at Dr. Clock’s Nowhere Bar in Adams Morgan. She and another comedian I interviewed, Ahmed Vallejos, are the driving forces behind Laugh Owens Laugh, the production company that puts on great shows like “Virgin Material” and the upcoming “Meryl Streep Stories.” She also helped produce the 202 Comedy Festival that took place earlier this spring. Alyssa and I met up again and had a conversation on the origins of Laugh Owens Laugh. But we started by talking about WWE Battleground, which took place at the Verizon Center last Sunday. Borderstan: Tell me about Battleground. Alyssa Cowan: It’s a pay-per-view. Basically, every week, [the wrestlers] have TV episodes that are leading up to setting up these big story-lines that’ll transpire during the pay-per-view, so that’s when titles change hands. That’s when fancy stuff happens. That’s when people go crazy and get put through tables. That’s what I associate with wrestling, like the chairs and tables, getting to the edge of the ring and slamming their body down. Yep, all that stuff… All that cool stuff. So, they’re going to bring it; every wrestler is going to come bringing every trick they have up their sleeve and just unleash it wildly. This is when they go balls to the wall, like when this is go bananas. And it’s happening in D.C., it’s very exciting. How many wrestlers are there? Oh man, I don’t know… maybe twenty-ish? How long does that go for? It’s going to go for four hours. The first hour of it is going to be matches no one gives a sh-t about. They’re just kind of there to warm up the crowd. It’s going to be until 11. Wowza. Do you guys get an intermission? No, but they always put a crappy match in the middle, so you’re like alright, now’s my time to buy funnel cake. I wanted to ask you about Laugh Owens Laugh. Just how it started and everything. I love the shows that you put on. We love doing them and we love making them exist. The reason why we wanted to do them in the first place is because these were shows we wish existed and we can try to put them on ourselves in an appropriate venue. It just means that we can watch them, we can see them and we know they have opportunities to grow. It started mostly because I was somewhat gifted at open mic, so I was running it as an open mic for a while, but it was on a Wednesday and in D.C. comedy, there is so much going on on Wednesday that’s an open mic. So, it’s not exactly something that the scene needs, like no one’s looking for stage time on a Wednesday – you can usually find it. I ran an open mic in Reno for a couple of years and we used to do a bunch of challenges and gimmicks, like we would do something different every week. And it used to make it so much more fun. The community’s so small there, like, there are hundreds and hundreds of comics in D.C., whereas in Reno, there were maybe 30 or 40. Adding a different challenge where you had to do something different made it interesting for us to actually see each other and like each other. So, when I had the open mic, it wasn’t really working very well as an open mic and I remember there was a concept show that Ahmed wanted to put on and I was like “Oh I’ll just ask if we can loan you the venue for that show.” And it was the Switcheroo. Oh yeah, I went to that. I’m glad, that one is a hoot. That one’s so fun. Especially if you like watching comics struggle, which is very funny. I feel like it’s very funny to everyone and it’s funny to be a comic struggling on stage. Not because you did a bad job writing, but because you’re in a situation that’s so difficult. I feel like people empathize with you, so they’re not angry that you’re not funny. They’re understanding about it. When we started loaning the venue for shows we wanted to, we switched over and were like, we should just be doing this because no one’s asking for another Wednesday open mic. So, that’s kind of how it evolved. It’s cool to have a venue where we can try whatever we want and we’ve been fortunate enough to where people seem to be interested in the stuff that’s going on. The venue that we’re at now is amazing. The guy that runs it is super cool and I think these are shows that he’d want to see. It’s awesome to have that venue support. Yeah, definitely. How did the name Laugh Owens Laugh happen? When Ahmed and I had one of the previous names, we had this chicken guy. This rooster guy that I made that we just really liked. He was just this rooster wearing a suit and we didn’t want to get rid of him. We just thought he looked funny and classy, so we were trying to think of names where we could keep him and the reason we thought of Laugh Owens Laugh is because there’s a wrestler right now named Kevin Owens and one of the chants people yell at him is “Fight, Owens, Fight!” I think one of us made a passing joke of calling it “Laugh Owens Laugh” and then having the rooster be Owens and we were just like, that’s great. We’re going to go with it. We like it. Mostly because the acronym goes to LOL, which is perfect for comedy. It just came from us ’cause we’re dumb wrestling fans. Information on Alyssa Cowan and her upcoming shows/festivals, including The Summer Camp Show at Wonderland Ballroom in Columbia Heights, can be found on her website. To find out more about Laugh Owens Laugh shows, visit the group’s Facebook page. This interview has been edited for length and clarity; photo courtesy of Alyssa Cowan. (Updated at 3:35 p.m.) Apparent “clerical errors” have caused speakeasy-style bar The Speak to shut its doors, at least for now. Due to some clerical errors we have to go dark for while. Instead, join Vieux Carre this week for delicious cocktails – it's just upstairs. It turns out, however, The Speak may still be a real speakeasy. According to Alcoholic Beverage Regulation Administration spokesperson Jessie Cornelius, it’s a violation for an establishment to operate under any trade name that has not been approved by the liquor board. The Speak is not an approved trade name — only Vieux Carre is listed on the liquor license. Cornelius says ABRA is investigating the matter. Cornelius confirmed with us this morning that ABRA regulators are still currently looking into the potential trade name conflict. This isn’t the first time the bar has shut down after conflicts over its licensing. 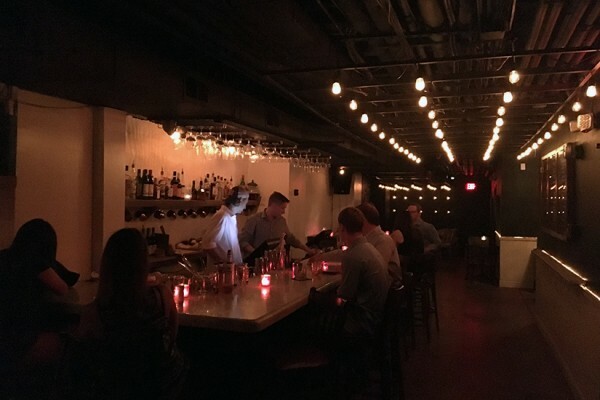 The Speak was shuttered last November after allegedly operating without a valid liquor license. The latest “Star Trek” movie is set to play at a Union Market theater this weekend, with some additional perks for Trekkies. 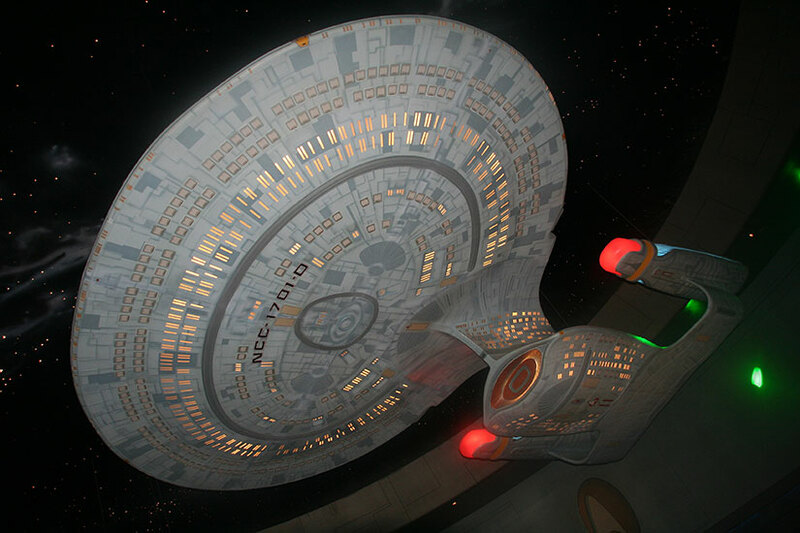 To celebrate the release of “Star Trek Beyond” and the science fiction franchise’s 50th anniversary, the Angelika Pop-Up movie house at 550 Penn St. NE is scheduled to hold a free “SciFi convention” Sunday from 1-8 p.m., event organizer Elyse Roland said in an email. “We’ve got Sci Fi fever,” the theater said on its Facebook event page. In addition to screenings of the flick, Angelika is slated to have Fantom Comics, Riverby Books and Intervention 7 on hand with toys, comic books and clothes geared toward science fiction fans. The theater also will sell hot dogs, nachos and other food. “There’s no better way to catch Star Trek Beyond for your second or . . . third time,” Roland said. Metro Melts Down (Again) — Hit delays on the Red, Green or Orange lines this morning? Here’s why: A train derailed on the Orange Line, broke down on the Red Line and was disabled due to “hot brakes” on the Green Line. 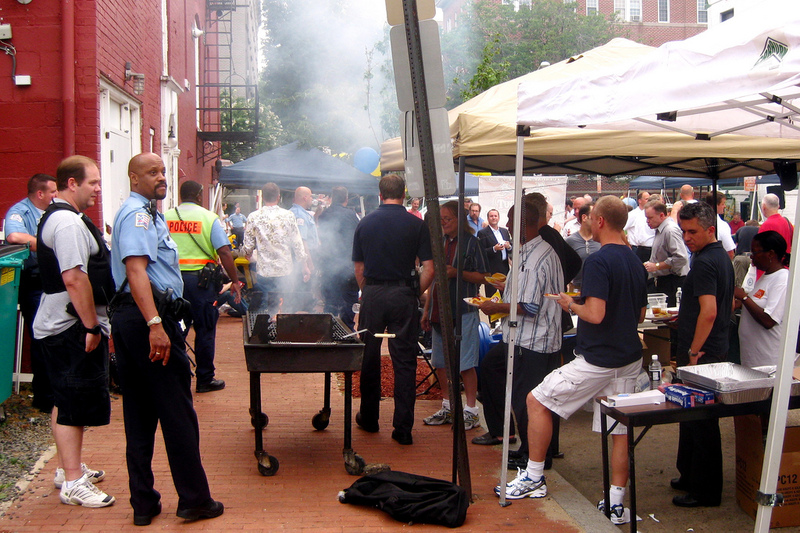 D.C. Police are set to bond with residents over hot dogs, burgers and activities next week. The police department will hold celebrations in each of its seven districts during the annual National Night Out celebration next Tuesday from 6-8 p.m., officials have announced. 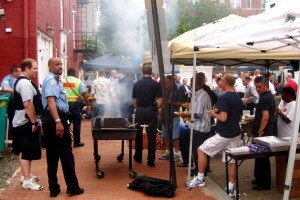 In the Third District, which covers Adams Morgan, Shaw, Columbia Heights, Dupont, Logan Circle and other neighborhoods, officers will set up at Bruce Monroe Park (3000 Georgia Ave. NW) with free food, drinks and information for residents. The event’s purpose is to get people “fighting back” against crime, and more importantly, to have fun, said MPD Community Outreach Coordinator Marco Santiago. The event will likely include basketball, self-defense classes, a moonbounce and other free activities, Santiago said. One of the event’s main draws each year is the free food, he added. “All you need to have is food and drink and people will come,” he said. A longtime Dupont Thai restaurant is set to debut a new look when it reopens later this week. 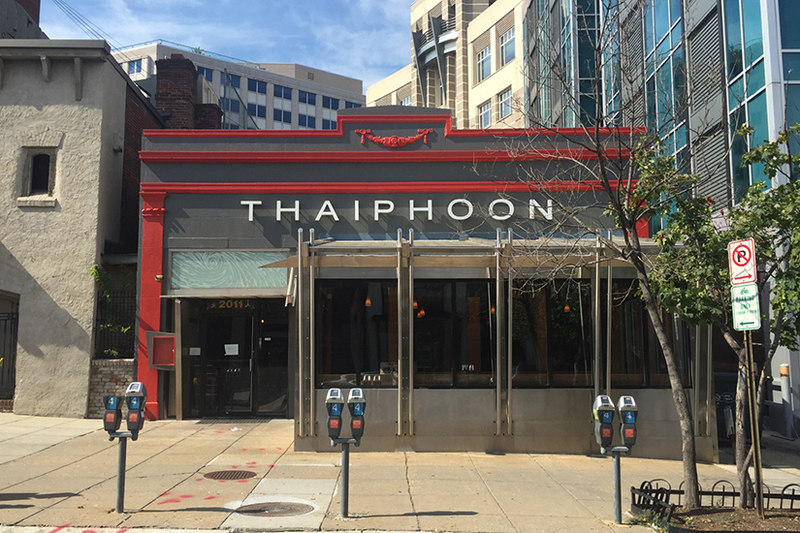 Thaiphoon, located near the northern edge of Dupont Circle at 2011 S St. NW, will open its doors and unveil its “new and fresh” as soon as tomorrow, said to general manager Lloyd Angus. Diners can expect to see some new items on the menu, Angus added. Offerings on the updated menu include basil shrimp and salmon and grilled trout wrapped in banana leaves. The restaurant will also serve such mainstays as spring rolls, crispy tofu and chicken satay. 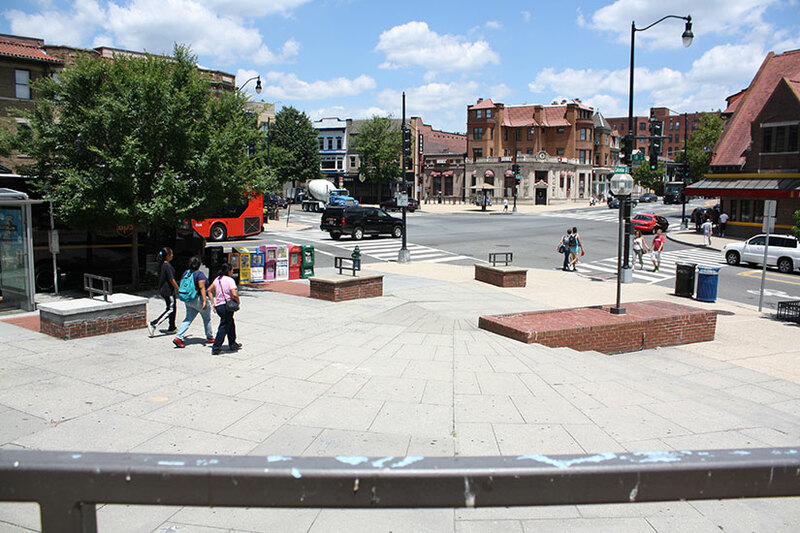 Advocates for restaurants and stores downtown and in Adams Morgan are blasting a Metro proposal to permanently cut its evening operating hours for train service, warning that the plan could have a dire effect on local businesses. Officials with the Downtown and Adams Morgan Partnership business improvement districts said in statements yesterday that axing hours would leave workers and visitors without a major mode of transportation to and from their neighborhoods late at night on weekends. The plan, which Metro general manager Paul Wiedefeld proposed this week, calls for the system’s closure at 10 p.m. on Sundays and midnight on other days, indefinitely, in an effort to better maintain Metro’s infrastructure. Before SafeTrack repairs in June brought midnight closures every day, trains ran until 3 a.m. on Saturday and Sunday mornings. In January of 2015, a last-minute parent fundraising campaign spearheaded by a resourceful singe-mother raised $2,000 in just 3 weeks from Garrison Elementary families. Donations brought in Capital Movement, a DC-based, women-owned dance studio that understood our financial limitations. Students had two hip-hop classes a week, and in June, parents attended their yearend recital. For many watching, it was heartwarming and hilarious as rambunctious preschoolers tried hard to follow the dance steps. For me as a parent, the recital provided a sense of peace. Peace in the fact I worked and, while I did, that my son was learning and being exposed to experiences that I alone could never provide. As a working mom, I know I am not alone. Caring for children after the 3:15 pm school day is a source of psychological and financial stress for many. With 48 percent of the school population living in shelters or classified as “at risk” by DCPS, there are parents dealing with a far more worrying reality than I know. Parents who work or study often grapple with the costs and benefits of their life decisions on their children’s well-being. Garrison has a chance to solve this. The video above may not show it, but getting to this well-choreographed routine was no easy path. After losing a grant for aftercare funding in October of 2015 with little notice, Garrison students were left with low coverage ratios and zero programming. The principal and the Parent-Teacher Organization (PTO) worked to patch a program together to finish the year. For the 2016-2017 school year, the PTO led an effort with the school administration to find a private aftercare provider that ensured better ratios, safety and enrichment. We look forward to welcoming Apollo After School in August. To ensure equitable access to high-quality aftercare, we have launched a community crowdfunding campaign. Our PTO website will recognize local businesses and community members that participate as champions for education. Funding will go to programming like dance classes and to scholarships for working, low-income families. Families qualifying for Medicaid will be able to access the program without paying the monthly fee, however many families are caught in the middle. They earn too much to qualify for a DCPS subsidy but not enough to pay programs costs. An enriching aftercare program will further transform Garrison. 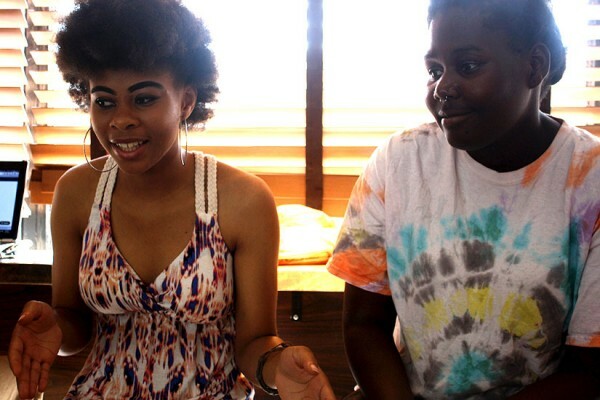 Aftercare is part of the virtuous cycle that keeps school enrollment rates up, enhances school day programming and can even lead to higher test scores — Garrison’s core challenges. Additional money raised will provide enrichment for older grades, such as field trips to Philadelphia for 4th graders or tablets to help kids with autism learn in our special education classes. Garrison has one of the highest percentage of special needs students in DCPS. 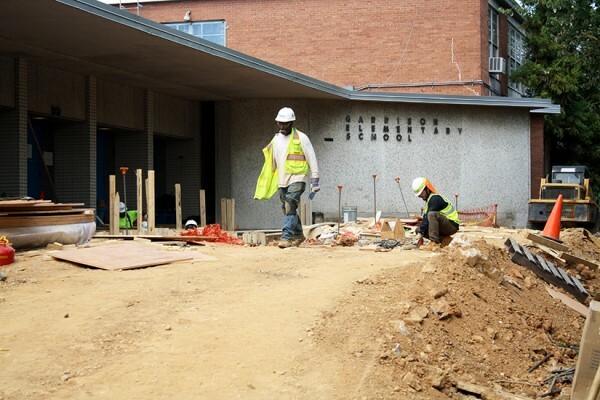 If you pass by Garrison elementary on S Street, you will notice bulldozers, cement piled high and men in hard hats sweating in the summer heat. The ground is literally breaking at Garrison. And for good reason. After a lengthy political process, our modernization dollars arrived and are hard at work. But the challenge of improving this school does not end with a modern facility. We are reaching out to the community to break new ground. It seems only fair to strengthen the elementary school at the epicenter of so much social and economic change. The ripple effects of doing so will benefit far more than just the students. The more schools thrive, the more the communities that support them thrive too. I invite you to be a part of this virtuous cycle. 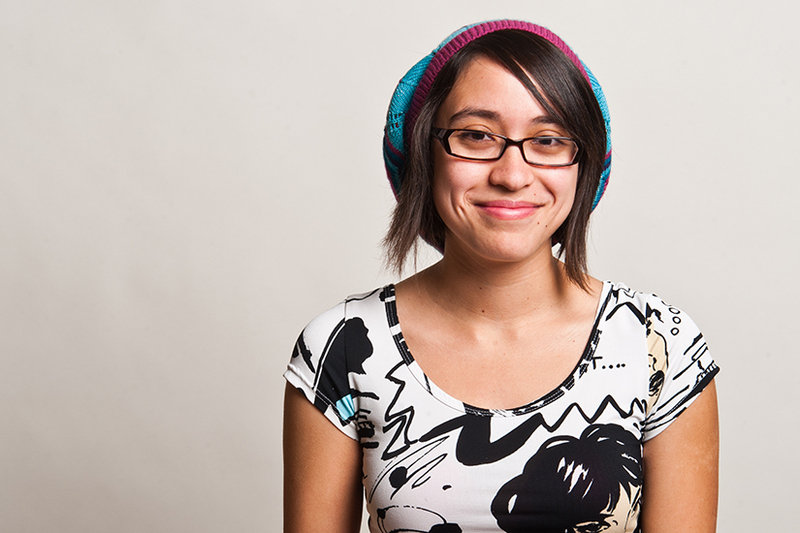 Please join us in our campaign to bring equitable, high-quality education to your neighborhood. Tax-deductible donations can also be made by Venmo to [email protected] or check to Garrison PTO, Garrison Elementary School, 1200 S St. NW. Nicoletti is a Garrison Elementary School parent. D.C. attorney Shawn Sukumar represents clients who have been charged with criminal offenses such as driving under the influence and theft. While licensing requirements ostensibly protect consumers by ensuring that those providing services have attained a certain educational level or have attended required safety training, some occupational licensing schemes make entry into a given career field extremely difficult for newcomers. Senator Lee believes that occupational licensing frameworks in place across the United States are often less focused on consumer safety than they are with protecting a given field from competition. He argues that expensive and time-consuming licensing requirements merely serve as a barrier to entry for those seeking to join the workforce, with little to no benefits passed on to consumers. The ALLOW Act seeks to use Congress’ Article I authority over federal enclaves to restructure the licensing requirements in D.C., in the hopes that it will serve as a model that other states might adopt in the future. Local leaders strongly object to this latest attempt to use the District as a guinea pig to test out new government policies. While the ALLOW Act does not specifically target any of D.C.’s current licensing requirements, in essence it puts the right to work in certain regulated professions on par with certain fundamental constitutional rights. By requiring the D.C. Council to create subcommittees that will review licensing requirements to ensure they are the “least restrictive regulations necessary to protect consumers,” the bill essentially requires the Council to conduct a heightened scrutiny analysis. In addition, the bill makes an affirmative defense available to workers who feel they had been ‘substantially burdened’ by occupational regulations. In cases where individuals are facing legal action as a result of violating licensing requirements, the availability of this affirmative defense shifts the burden of proof to the government, which must then show that the requirements serve an “important government interest” and are the “least restrictive means” of furthering that interest. This is a fairly high standard that is typically reserved for the governmental restriction of fundamental rights, such as freedom of speech. While the D.C. Council has recently considered reforming certain licensing requirements, local leaders nonetheless object to Congress’ repeated attempts to use the District to test new policies and regulations. Opponents of the Act feel that these types of distinctly local issues should be the left up to local leaders, not only because they are better informed about the consequences of policy changes, but because they can actually be held accountable by the residents affected. A robber punched a man who was on his way to his girlfriend’s house in Lanier Heights last night, according to D.C. Police. The violent robbery happened on the 1800 block of Clydesdale Place NW just after 10:10 p.m., police said. According to a police report, a man was walking to his girlfriend’s house when he was approached by four men. One of the men in the group punched the man in the jaw and snatched his backpack, which contained a laptop and other personal belongings, police said. 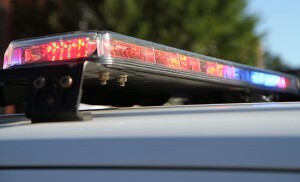 The assailant and three other people were last seen heading north on the 1800 block of Clydesdale Place NW, according to authorities.